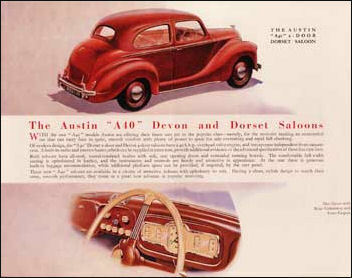 Austin Ten Saloon, Model GS1, is the same as in 1946. A sliding roof is optional. 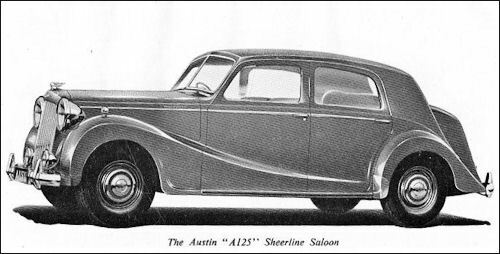 Austin Twelve Saloon, Model HS1, is similar to the Sixteen (q.v.) with the main exception of the engine which is a 1535-cc 40-bhp side-valve Four. Both cars have 8 ft 8½ in wheelbase. 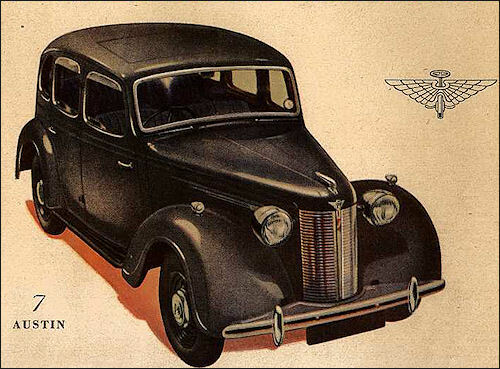 Austin Sixteen Countryman, Model BW1, was introduced in late 1947. 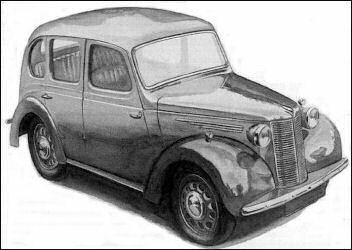 Apart from the bodywork it is similar to the 16 HP Saloon (Model BS1) with the 2.2-litre OHV Four engine. 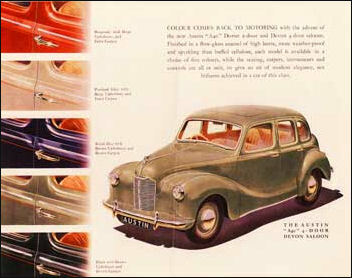 Other four-cylinder Austin cars in 1947 are the Eight (AS1), Ten (GS1) and Twelve (HS1); all three were superseded in October by the new A40 Devon and Dorset models with separate chassis, and new 40 bhp 1200cc ohv engine, four speed column change box, hydro mechanical brakes, coil spring ifs and cart sprung rear. Top speed 71 mph. 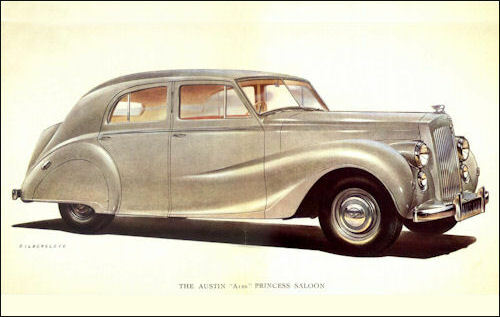 Devon have four door six light bodywork, Dorset is two doors saloon. 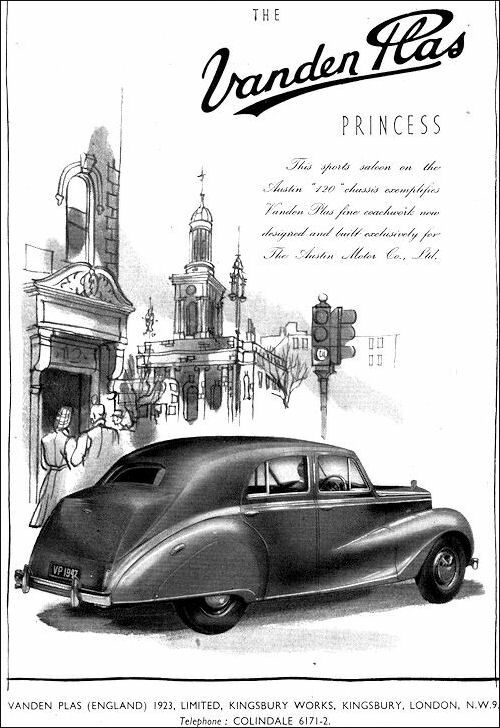 8, 10 and 12 production ceased in October 1947. 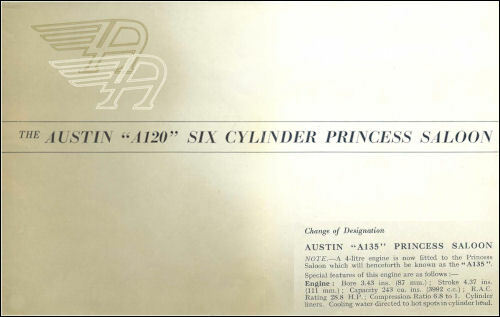 Austin announced two entirely new six-cylinder models in March 1947, viz. the 3½-litre A110 Sheerline (110 bhp, single Stromberg carb.) and A120 Princess (120 bhp, triple SU carbs). Soon afterwards the engine size was increased from 3460 to 3993 cc and these 4-litre models were designated A125 Sheerline and A135 Princess. The few 3½-litre cars which by this time had been produced were retrofitted with the new engine. 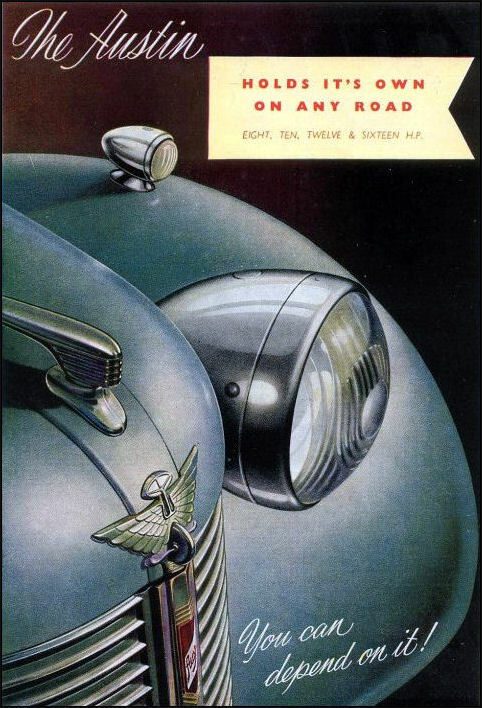 The Sheerline have large Lucas P100 headlamps. 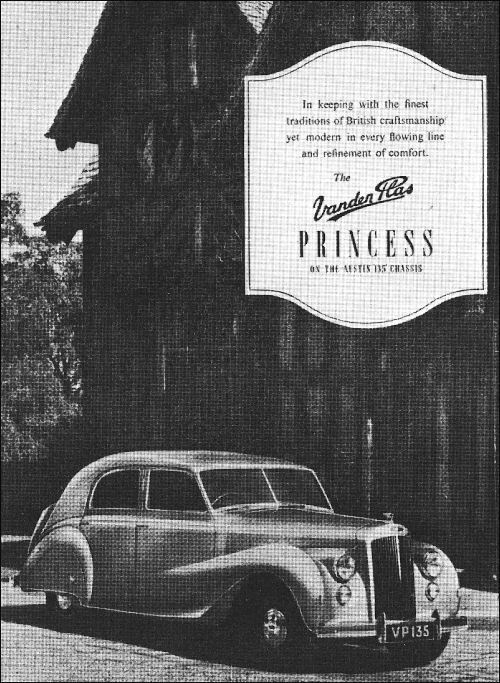 The Princess have coachwork by Vanden Plas with built-in headlamps and more flowing lines.